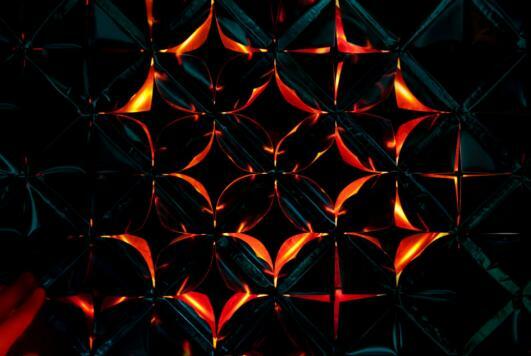 The Rijksmuseum will be presenting the Lotus Dome by Daan Roosegaarde for the first time in the Netherlands, from 7 February through 5 May 2014. 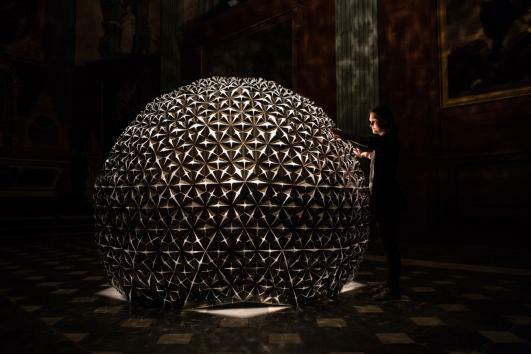 The Lotus Dome is a ‘living’ Dome consisting of hundreds of ultralight aluminium foils that unfold in response to human behaviour. 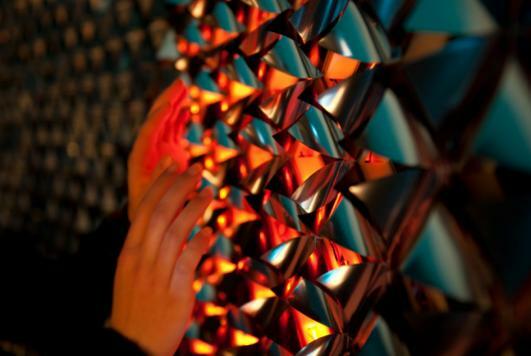 The high-tech work of art has been travelling the world since it was created in 2012. Having been on display at a number of historical locations abroad, the Lotus Dome will now face a contemporary juxtaposition with the Rijksmuseum’s 18th-century period room. 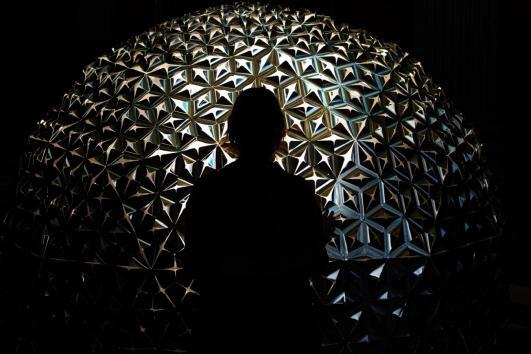 The Lotus Dome (2012) comes to life in response to a visitor’s body heat. 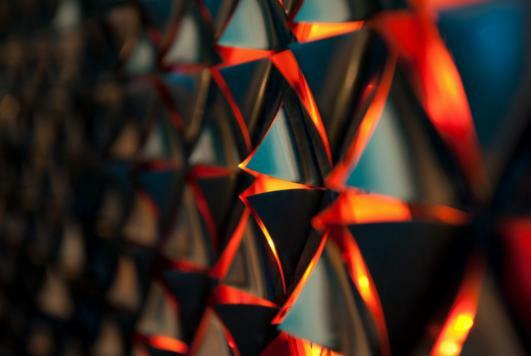 Hundreds of aluminium flowers unfold, a deep bass sound fills the space and light projects the lotus flowers onto the walls. 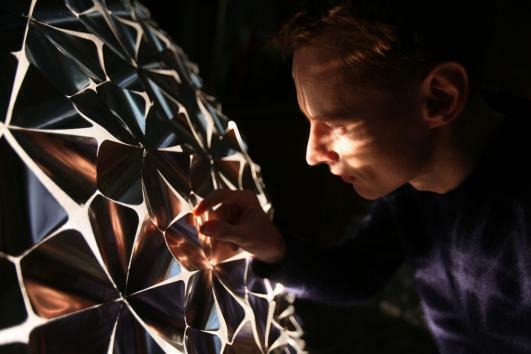 Roosegaarde calls it Techno-poetry. 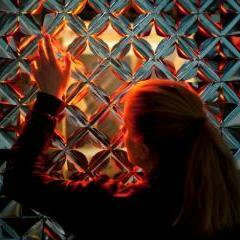 The smart Lotus foil was designed by Studio Roosegaarde and its designers. The foil is made up of different layers of Mylar (a type of polyester) which makes the leaves fold and unfold in response to light and heat. 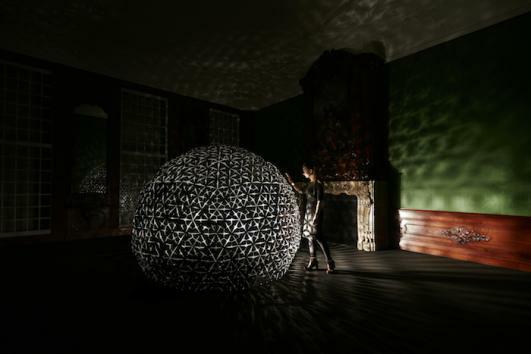 The Lotus Dome will be on display in the Beuning Room (anonymous, c. 1745 – c. 1748), an 18th-century Amsterdam room, originally from a Keizersgracht property. The mahogany panelling and original stucco ceiling with paintings by Jacob de Wit and Jurriaan Andriessen are typical of the 18th-century Rococo style.